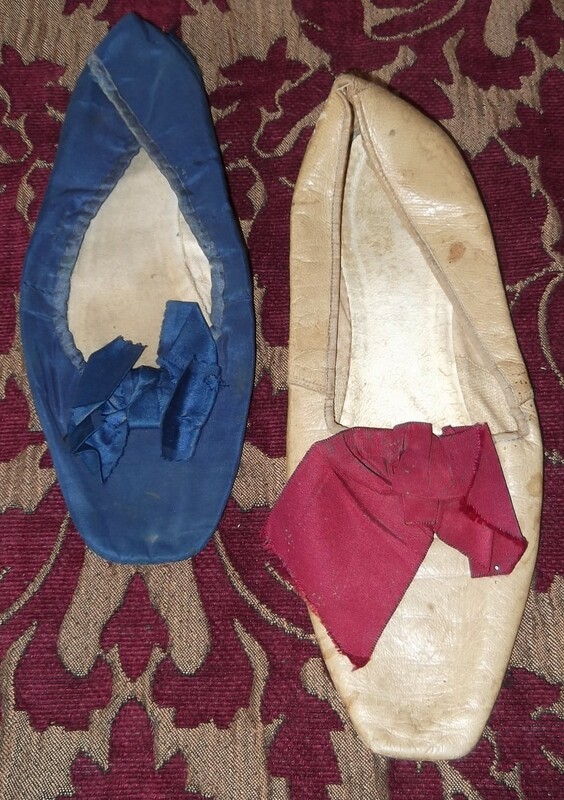 This auction is for two single unmatching shoes, one in a blue silk, the other in a butter brown kid leather, both c 1830’s, both trimmed in bows atop the vamp. The silk has started to pull away from the side, leather has minor age scuffing. 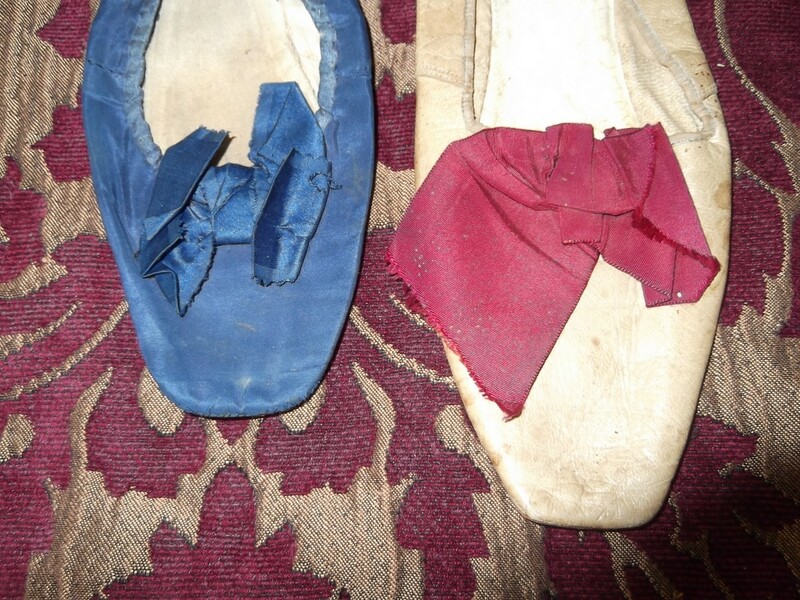 The blue measures 9 inches in length, the brown 9 ½ inches. 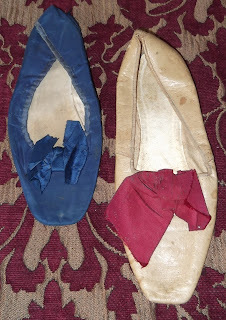 The blue one is actually 1840's. 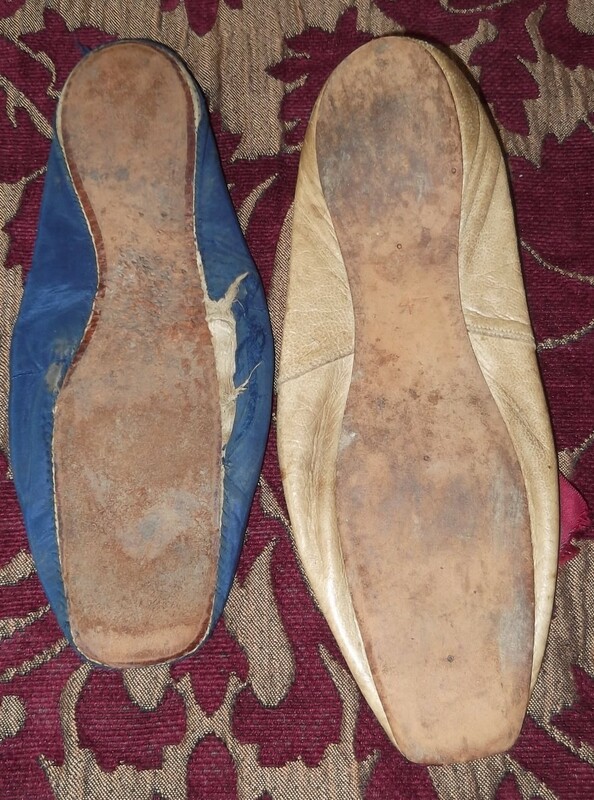 It has a left last rather than a straight last.